Charles R. Wilson is director of the Center for the Study of Southern Culture, based at the University of Mississippi (in Oxford, MS), and also Kelly Gene Cook Sr. Professor of History. 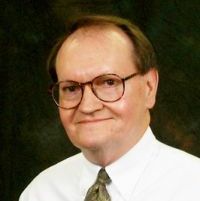 One of the most important scholars of Southern Studies, he is an editor of the Encyclopedia of Southern Culture (1989), a reference work that in its engagement with the South has provided a new direction for the field worldwide. The encylopedia’s numerous reprints and current reissue in single volumes are evidence of an emergent interest in and reconception of a global South. Moreover, Prof. Wilson’s influential monographs and anthologies have been the inspiration for new research such as exploring the relationship of Southern culture to that of the Caribbean. As visiting professor in Mainz during July and August of 2009, Prof. Wilson will be holding a seminar and several public lectures as well as participating in a summer school organized by the American Studies Department at the University of Mainz.